EWG (Environmental Working Group) is the largest non-profit, non-partisan organization dedicated to protecting human health and the environment. The Environmental Working Group’s mission is to empower people to live healthier lives in a healthier environment. With breakthrough research and education, they drive consumer choice and civic action. More than a decade ago, EWG’s research showed that people apply an average of nine personal care products and 126 unique ingredients on their skin daily- from shampoo to sunscreen to makeup. The government does not require long-term safety studies or pre-market testing for most of the ingredients in these products. EWG decided to take on this public health issue by launching Skin Deep in 2004 to inform people exactly what was in all those bottles and jars. Today, Skin Deep rates 70,000 products and almost 11,500 ingredients, with rating 1 – 2 as the lowest hazard and most friendly to 7 – 10 as highest hazard and most unfriendly to our health and environment. 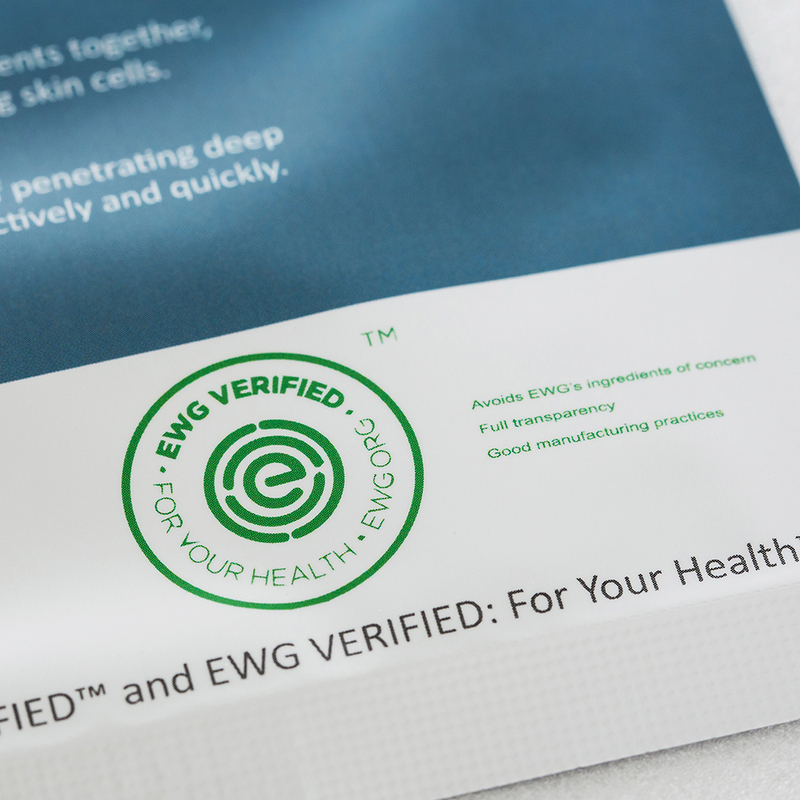 EWG VERIFIED takes the Skin Deep rating system one step further – by also asking companies to submit significantly more detailed information to help confirm that companies are making full disclosure to their consumers, that their products are adequately preserved and free of contaminants, and that manufacturing processes meet EWG’s rigorous criteria. Sine EWG VERIFIED aims to be a gold standard and keep the bar high to show consumers the products that are the best for health, based on all of the latest science. There are only 1,078 EWG VERIFIED products so far because of its rigorous standards. 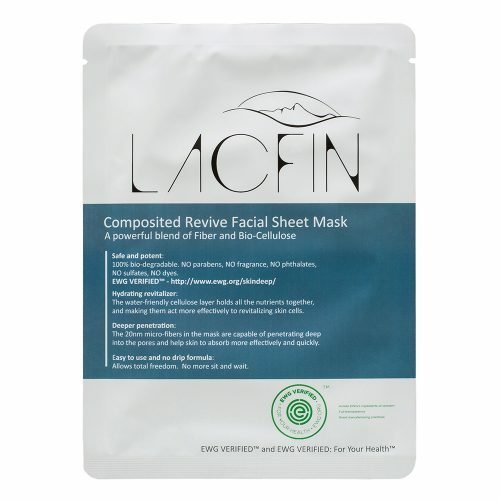 We are proud to announced our facial sheet mask is EWG VERIFIED with EWG rated 1. That means our facial sheet mask is not only healthier and safer for our customers, but also will inspire our customers to stay positive, protect our health and make a difference to our planet. The water-friendly cellulose layer holds all the nutrients together. Preventing evaporation of the ingredients, and making them act more effectively to revitalizing skin cells, and leaving you with glowing healthy skin. The 20nm micro-fibers in the mask are capable of penetrating deep into the pores. The mask repairs imperfections and smooths out fine lines for younger and plump looking skin. Allows total freedom. No more sit and wait.